People make jokes all the time about “keeping a roof over your head” – but for our licensed, professional team of roofing experts, it’s our promise to you as our valued residential and commercial clients. We offer up to a 10-YEAR labor warranty on each and every roof and repair. in Arlington, Texas, to learn more about our affordable home renovations. Simply call our office or email us and we will schedule one of our highly qualified roofing experts to come out and visit you. There is absolutely no obligation or charge to you for this service. We also have a dedicated 24/7 emergency hotline – so we can respond immediately to any roofing emergency from weather, fire or vandalism damage. Give us a call, and leave it to the area’s leading roof experts – we are here to help. We encourage you to get other bids from other reputable contractors. Compare quality, reputation, longevity and price. These are all very important details! Check out our ownership and management. Since 1993, we have been under the same ownership and management. Not too many contractors can offer this. Check our references and credentials. Credentials are so important in the roofing business. Acreco, Inc. Roofing’s credentials are impeccable. We will schedule the roof work at a time that is convenient for you. Once you have accepted our proposal, we will then schedule your roof work. Of course roofing is weather driven and this certainly has to be taken into consideration in the scheduling. We will complete the job in a timely manner. Upon scheduling, your roofing materials will be shipped to your home and stored in a designated location. In most cases, our installers will be out within one to two days after the materials are delivered. After the installation process we will do a debris removal to ensure no mess is left behind. Once this is done, our office personnel will call to schedule a final inspection with our highly qualified roof inspector. From the smallest leak repair to a complete roof replacement project, we deliver the same professionalism, dedication and customer satisfaction. We utilize the best materials from leading manufacturers to provide you with the highest quality work, performed to your complete satisfaction. Whether you have a residential house with standard asphalt shingle roofing, a commercial building with a built-up tar and gravel roof or a large industrial building with an Elastometric roof coating, new construction or minor or major roof repairs, Acreco (Arlington’s Creative Construction) Roofing wants to be your complete roofing contractor. Acreco (Arlington’s Creative Construction) Roofing specializes in completely researching the available roofing materials which allows us to recommend the right materials for the job and select the style and quality which will provide maximum return on investment for our clients. 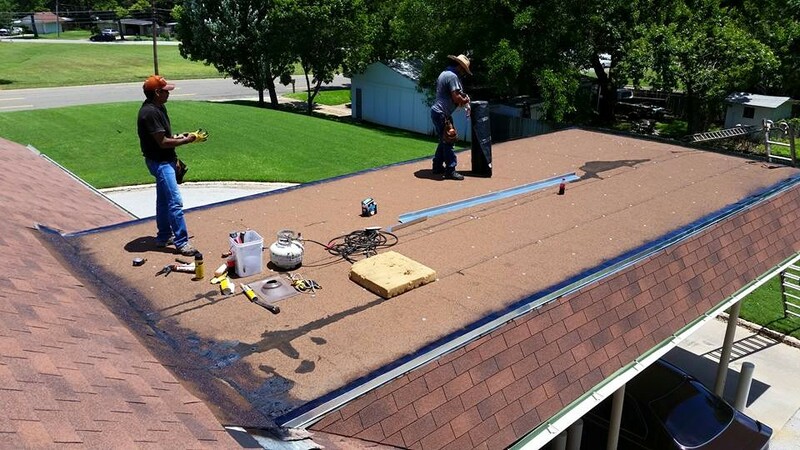 Acreco (Arlington’s Creative Construction) Roofing will consider the condition of your roof and propose a cost effective way to extend its life or a cost effective way to replace it. All homeowners know that proper roofing is the best protection for a house. However, knowing when you’re ready for roof repairs or a replacement is often a difficult decision. Roofing materials come in many styles and are made of many different materials, so there is no “one-size-fits-all” easy answer. Most homes today have modern asphalt architectural shingles that come in many varieties, although cedar shingles and clay tiles are also two popular alternatives. Thus, knowing when to install a new roof or when a roof needs repairing is an important, but often difficult decision to make on your own. When do I need a new roof? The first step needed is to determine whether or not you need a new roof in the first place. The following will help you identify the potential for roof failure. Remember that it is important to not delay an inspection because any roof damage can be causing unseen structural problems the longer you wait. Very often, the first sign of roof failure is not on the roof itself but inside your home. Ceiling stains, flaking paint and plaster, peeling wallpaper, and discoloration near the wall/ceiling joint; though they may appear negligible, serve as advanced warning of future roofing problems. Stains may be caused by condensation in the attic or water seeping through the shingle covering, very often at joints and flashing in the roof. The attic space must be adequately ventilated and insulated otherwise condensation of interior moisture will occur. This can lead to ceiling stains or water leakage. After a heavy rain, check the attic for wet, darkened or stained decking and rafters. Moisture condensation may also accentuate any curling and clawing of the shingles on your roof. 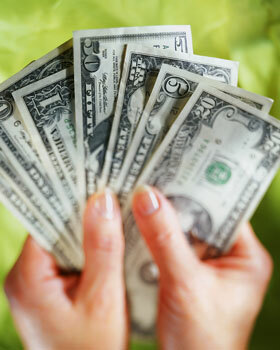 Moreover, wet insulation loses its effectiveness with a consequent increase in heating and cooling costs. If your roof is five to ten years old, it is time to begin routine visual inspections. Inspections should be done twice a year, usually in the spring and in the fall. The easiest problem to spot can be seen from the ground: if your asphalt shingles are brittle looking or curled at the edges, or if you start to notice a lot of the colored “gravel” in the gutters or along the roof drip line, that is a sure sign they will need replacing soon. If you do go up on the roof, be sure it’s dry and to wear rubber-soled shoes for best traction and to avoid damaging the shingles. Be extremely careful if your roof pitch is steep, and avoid standing too close to the edges in case any of the roof decking is damaged and weakened underneath the shingles as it could give way, possibly causing you to fall off. If you are uncomfortable with the idea of climbing on your roof but suspect that problems exist, our trained inspectors will be happy to schedule an on-site inspection and, as always, our written estimates are free! If you haven’t had your roof checked within the last ten years then it is highly advisable that you get it inspected as soon as possible. It may not be leaking yet but if you leave it much longer it could be. Age: The biggest roofing killer is the age of the materials. When shingles begin to look worn this usually means they are. Even shingles that have a 40-year warranty should be checked every few years to spot possible problems that can still occur. Repair or replace: Sometimes shingles can be simply blown off and merely need to be replaced, but if this is happening more and more often you may need to consider the possibility that the entire roof may need replacing. Repairing your roofing may cost less, but if you have to repeatedly repair it then it is usually a much more cost-effective solution to have new roofing installed. We will be able to help you assess the best option for your roof. We Find and Fix the Most Difficult to Locate Roof leaks! The roof is the main area of your house that is constantly exposed to the elements and it is vital that you not only have quality roofing installed, but that regular checks and repairs are carried out to ensure it’s long life. Consider the fact that all roofing is constantly subject to wind, rain, snow and sun and all the damage they can cause. As such your roofing is facing this damage 24 hours a day, 365 days a year, and it should be given all the ammunition possible to complete its job. You should realize that your new roofing and subsequent roofing repairs should be top notch to avoid any nasty accidents or surprises for as long as possible. Shingles are available in a wide variety of sizes and costs, but beware that cheaper shingles will start to show wear in as little as 3 or 4 years and can end up being virtually useless at providing you long-term protection. It is advisable to spend as much as you can possibly afford on buying top quality roofing shingles that will stand up to more than a few showers and windy days. Having new roofing installed can be a pricey affair, but regular check ups and minor repairs when needed can extend the life of your roof and help prevent, or at least delay, the worst from happening. Do you have one layer of roof shingles on your roof and the wood decking is in good shape? If so, you are eligible for a recover (layover) which will save you the tear-off and labor costs of a complete roof replacement. For all roofs that have 2 layers or more, we highly recommend that all roofing materials be striped to the decking before installing a new roof system. We specialize in the tear-off and replacement of all roof shingles, such as Gaf, Certainteed, Owens Corning, Tamko, Elk, and more. Our prices are extremely competitive! Call today to schedule your on-site consultation with one of our roofing professionals who will inspect your roof thoroughly, explain our warranty, and give you a free written estimate on all proposed work. You’ll be very glad you did! As a business owner, you don’t have time to think about your roof, and probably rarely do. That is, until it starts to leak and causes damage to your equipment or products. If you’re a maintenance department supervisor, roof inspections are probably not high on your priority list, and even then you may not have trained personnel to spot possible problems. If you have developed leaks, you may not have the employees or equipment to properly repair the problem. Let Acreco (Arlington’s Creative Construction) Roofing help you solve any current problems and also help prevent major problems from happening. If you already have a leakage problem, we can help you arrive at the most cost effective solution to your problem. If you can’t remember the last time your roof was inspected, then it needs to be done soon to spot any potential problems before they develop into damaging leaks. Including SBS modified roofs , Built-Up Tar and Gravel roofs , Metal roofs, and Elastometric coatings. We also offer commercial roof inspections and commercial roof maintenance services. Contact us to discuss solutions to your roofing needs. What is a workmanship warranty? The contractor warranties the work of the installers—the workmanship. 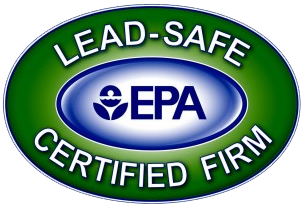 The manufacturer warranties the material used against defects in manufacturing. The two warranties cover the entire system. Acreco (Arlington’s Creative Construction) Roofing warrants all of the work it does for up to 10 full years after installation. Acreco (Arlington’s Creative Construction) Roofing selects only those manufacturers we know to provide quality products — products that come with warranties that provide adequate coverage for you. The manufacturer warranty varies somewhat according to the quality of product you select. We will fully discuss the manufacturer’s warranty of the specific products you select. Tip: Most problems of either workmanship or material show up very quickly. Therefore, the near-term warranty given by the contractor or manufacturer is more important than the warranty coverage during the later years of the warranty. The length of the warranty is less important than the intent and ability of the contractor to stand behind his warranty. Even if problems of workmanship arise after the workmanship warranty has lapsed, a reliable contractor usually will want to stand behind his work. Please visit the websites of some of our top suppliers to learn more about their products and styles. These will open in a new window. Recently there have been destructive storms in the North Texas area. Be aware of out-of-state “Storm Chasers” out to take advantage of unsuspecting customers. Hail damage to your home is terrible enough so don’t get taken advantage of in addition to it. Call us Immediately at 817-860-0050. Make sure you do not fall victim to these types of companies. Click on the icon below to learn more. ROOFING EXPECTATIONS: If you are like most of our customers, this is probably your first experience with reroofing and you are wondering what to expect. The most important point to be aware of is, there is no way we can re roof your home without causing you some inconvenience. COMMUNICATIONS: If you have any questions or problems during your roofing job, please call the office immediately. Phone (817)860-0050 – Once we contract to do your roof, you will also be given our cell phone number. Besides having access to our office staff, the cell phone is generally answered 24 hours a day. THE SIGN: Placing a sign on your property is the first step in re roofing your home. We are proud of this job and the work we do. SHINGLES: There are usually two types of shingles sent to the job. One is a three tab shingle that is used as the starter shingle. The other shingles are the brand and style of shingles you requested to have installed. WIRING & AIR CONDITIONING LINES: Electrical, telephone, security and air conditioning lines should not be installed directly underneath the roof deck. If you are aware of any such lines, we must be notified immediately. We can not be responsible for the puncture of improperly installed lines or lines within three inches of the roof deck. LIGHT FIXTURES, MIRRORS & PICTURES: These items can fall if not firmly attached to the wall or ceilings. We suggest that you check to make sure they are secured. If in doubt, take them down. We cannot assume the responsibility of these items as a result of re roofing. Small cracks or crows feet will sometimes appear in older plaster and sometimes small particles of the acoustical ceiling may fall. TEAR OFF: When it is necessary to remove your existing roof or roofs, debris will fall through your lath or decking into the attic. We suggest covering or removing any items which require protection. There will be a thorough clean up of the exterior of your premises, however, we can only pick up approximately 98% of the nails that fall around the premises. ACCESS: Your contract price was figured utilizing access to the driveways for our trucks, as well as electricity. If exterior plugs are not available, please run an extension cord through a window or door. TREES & SHRUBS: If you have low hanging branches over your roof, some trimming may be necessary. Our men will only cut those limbs which limit our ability to do an efficient and workmanlike job. In some cases, you may prefer to have the tree or trees trimmed by professionals before we begin our job. SIDEWALL FLASHING: When one roof is installed over another roof, new flashings are sometimes needed at the vertical sidewalls. These flashings may be covered by a 1 inch by 4 inch board nailed to the vertical wall. SOLAR PANELS: Arrangements to remove and replace solar panels are the sole responsibility of the owner. ANTENNAS: We remove and re-install antennas up to 20 feet in height, but we will not be responsible for the old lead in wire breaking. VENTS: At the end of each work day and upon completion of your job, please check the interior connections of your heater and hot water heater vent pipes. If you can not do this please notify us of this and we will inspect this for you. LEFT OVER MATERIALS: Our proposals are based on a complete job. Any left over materials remain the property of Acreco (Arlington’s Creative Construction) Roofing, unless otherwise stated in your contract. Did you know that your insurance carrier may have to give you a discount with your new roof? The Texas Department of Insurance has mandated that some insurance carriers give discounts to homeowner who have certain “Impact Resistant” shingles installed on their home. For a shingle to qualify, in must pass certain test as outline by Underwriters Laboratories in UL-2218. Shingles passing the test are given a class rating on one to four, with four being the best. Only a limited number of shingles have passed this test. The discount will also vary according to which “zone” you live in. You must consult directly with you insurance carrier as not all insurance carriers are obligated to give these discounts. Also check to see if a “cosmetic” damage waiver is required. Acreco (Arlington’s Creative Construction) Roofing installs several different Impact Resistant shingles. Just ask about “Impact Resistant” shingles when requesting your free estimate. We'd love to hear from you and see how we can help build your dream. Although we are not paying members of the BBB to be Accredited, ACRECO has an A+ rating with the BBB. Click the link to view our profile and/or write a review.